3 DAYS ONLY Sale event! 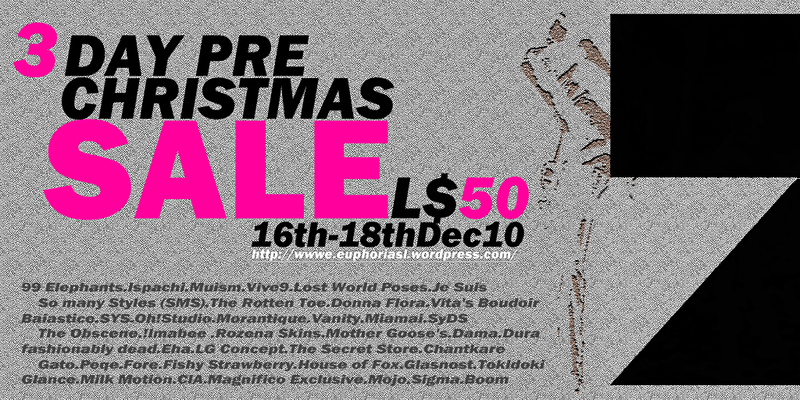 Great time to buy your gifts and more at L$50 for participating brands! Look out for this poster in the stores for participating brands or scroll down to Teleport directly!